I don’t own any movies on DVD or Blu-ray. None at all. I gave up on DVD at the same time I stopped buying CDs, and I have never been interested in getting myself a Blu-ray player for movies either. Most of the movies I watch are on Netflix, but once in a while a new movie comes along that I want to watch as soon as I can. In previous years there weren’t any decent (legal) ways to do this, but these days there are a number of options for getting movies online. As a happy user of Xbox Music, I thought I’d give Xbox Video a try. Xbox Video is a streaming video service that lets you either rent or purchase movies, and watch them directly on your Xbox, Windows device or in a web browser. The only video I’ve purchased on Xbox Video previously was Mean Girls – but that’s a 10 year old movie and didn’t include any of the fancy extras you get with SmartGlass. 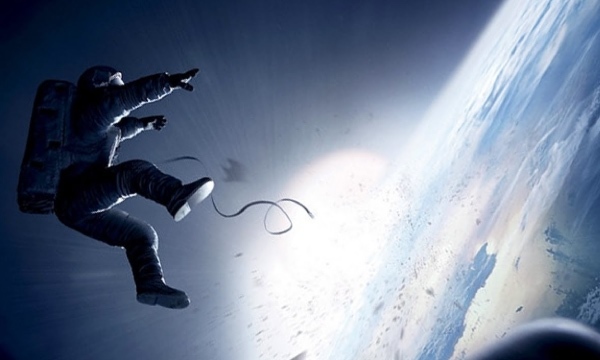 When Gravity became available I purchased the HD version for £14.99. Because it’s purchased, rather than rented, I can watch it as many times as I want, including the SmartGlass extras. 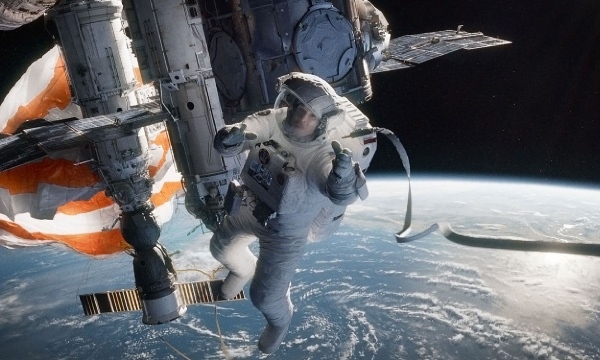 In Gravity, Dr. Ryan Stone is a mission specialist on a Space Shuttle mission to Hubble, when an accident causes the rest of the crew to perish. In a slightly unrealistic-but-more-realistic-than-most-movies turn of events she finds herself at the International Space Station, then to a Chinese Space Station in an attempt to get back home. 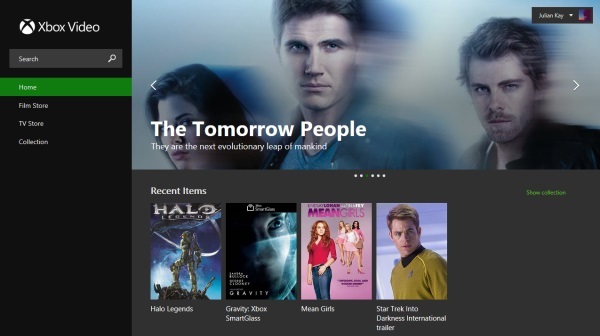 Through Xbox SmartGlass you get access to special content – which I believe is also included on the Blu-ray release. I have the option of accessing the extras through either my Windows Phone, or my Surface tablet. There are also apps available for both iOS and Android too, but I don’t have either of those devices. My favourite part of the extra content was actually the video short, however I couldn’t get it to play full screen for some reason. Bit of a shame. 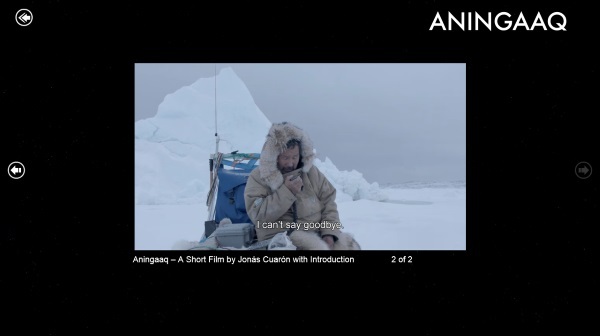 In “Aningaaq”, we see the other end of the radio conversation that Stone has while in the Russian space craft. Aninqaaq, a fisherman in Greenland, is also dealing with death in his own way. This time we are provided with a translation for his side of the conversation, which is a great little extra to the movie. 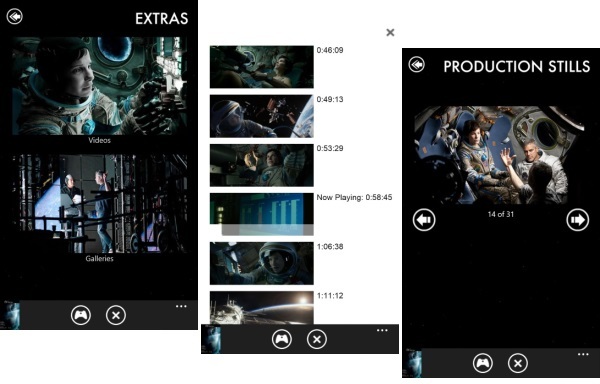 Overall the Xbox SmartGlass experience was good, and more interesting when I watched the movie for the second time. I don’t think I’ve ever purchased a movie specifically for the extras before, and I’m not going to start – but it’s a good little bonus.